SINGAPORE (THE NEW PAPER) - When he suffered a stroke in 2014, doctors told his wife of 10 years he had only a 5 per cent chance of survival. "All they could do was pray," recounts Rano Izhar Rahmat, former bodybuilder and ex-president of Singapore Bodybuilding and Fitness Federation. 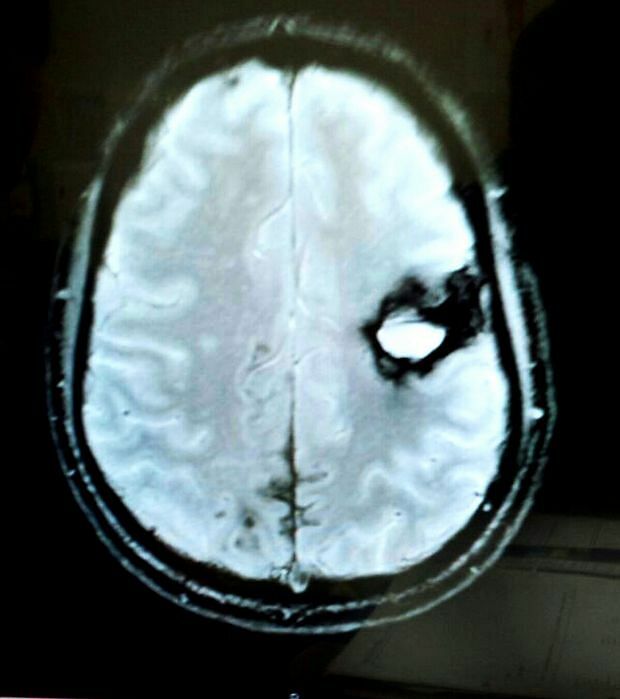 The stroke, he says, was caused by a 5cm-wide bleed in his brain. He was unconscious in the intensive care unit for about five days. Rano survived, even though at first, the stroke left him unable to talk, and his right side was paralysed. In a telephone interview, the 52-year-old general manager of Atos Fitness Club tells The New Paper on Sunday: "I was a champion. I've trained (the sportsmen). I cannot give up now." He was told he would be "lucky" if he could walk within two years. Rano says: "In four weeks, I was already walking, and in six weeks, I was running." It was a life-changing incident for the bigwig in the bodybuilding scene, who has previously clinched third place in the Musclemania World championship in 2004. Rano, who has a doctorate in exercise and sports science, was personal trainer for local sports personalities such as golfer Mardan Mamat and silat world champion Sheikh Alauddin. Rano has been regaining his muscle strength and mobility for the past two years, thanks to a never-say-die attitude, acupuncture, exercise and a healthy diet. He has made great improvements. He says: "I was able to do nearly 200kg bench press in the past, but when I started rehab, even 1kg was too much for me. "Now I am getting better, I can do a bench press with over 100kg of weights." Rano works out four to five times weekly, doing hour-long exercises to train strength, coordination and more. "If you saw me in the flesh, you would never have guessed that I had a stroke," he says. He is right. It is only the occasional slurred word that gives him away. Doctors tell TNPS that chances of recovery from a stroke vary from person to person. Senior consultant neurosurgeon John Thomas says: "The best recovery for stroke occurs when 'less important' areas of the brain are affected, and if a younger person is involved. The younger the person, the better the plasticity of the brain." A neurosurgeon in private practice, who declines to be named, says recovery can take "a week, months, or never" and the deeper the coma, the less likely the chances of survival. While the stroke that he suffered is different from Mr Heng Swee Keat's, Rano says he would offer the same advice to the Finance Minister - to "hang in there and never give up". "Believe. If you don't believe, nothing will happen or change," Rano says. He adds that family support also helped with the recovery process. "My family members have always been there for me since day one, and I cannot thank them enough. They helped me when I needed it, but I prefer to be independent," says Rano. Asked if he thinks he will ever go back to bodybuilding, he says with a laugh: "My bodybuilding days are behind me." Rano also devotes part of his time towards training stroke patients. "Like me, they are recovering too. They believe in me so I am in a position to motivate them (to get better)," he says. Rano has set his sight on another goal: To climb the stairs of the Suria Kuala Lumpur City Centre, home of the 88-storey Petronas Twin Towers, in Malaysia. He says: "I want to set a record for being the first stroke victim to ever climb one of the tallest buildings in the world." Rano Izhar Rahmat was on the MRT in July 2014 when he felt numbness on the right side of his mouth. He knew immediately that something was amiss. Rano called his wife and told her he suspected he had a stroke. He recounts: "I did not go directly (to the hospital) at first because I thought it was mild, and I could manage until I got home. Rano adds: "I am not sure how I managed to go home, but I did. I took a few aspirins. I then called my brother to take me to the hospital." The next thing he knew, he was in intensive care for five days before he came to. Rano then went through rehabilitation for two months. In his case, stress was the main factor that triggered the stroke, he says. Back then, he had travelled every month to give lectures and presentations on medical fitness. Rano, who has a doctorate in exercise and sports science from Honolulu University, admits that the downward spiral following his stroke was a huge blow. He had always been healthy and was careful about his diet. "I was very, very distraught. Imagine you are fit and strong, and suddenly you can't walk," says Rano. "Suddenly one side is frozen. I gradually learnt to accept it as a test from Allah." He adds: "But I never gave up trying to be better again."